﻿ Portugal 1-0 Morocco. Ronaldo comes to the rescue! 20.06.2018 » Portugal 1-0 Morocco. Ronaldo comes to the rescue! Portugal have won their first match in the 2018 FIFA World Cup, after beating Morocco by 1-0 in Moscow thanks to another goal from Cristiano Ronaldo. The Portuguese forward is the competition's top goalscorer so far, with 4 goals in 2 game. Portugal and Morocco clashed in Moscow this Wednesday afternoon in a game where a win was vital for both nations. 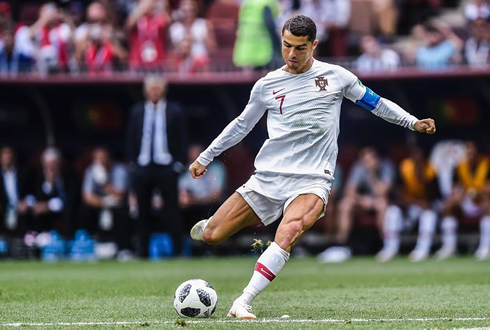 The Portuguese team would manage to beat the Africans in a 1-0 victory, thanks to a crucial goal from Cristiano Ronaldo, who already leads the topscorer charts in this FIFA World Cup. Nevertheless, it was an extremely difficult game for Fernando Santos' men, who never really got to play at their level. Morocco dominated throughout most of the match, but Portugal showed resilience and held on to the 1-goal lead until the final whistle. Next for Ronaldo and company is Iran and the Selecção just need to make sure they won't lose in order to advance to the next stage. Make no mistake about it, Portugal probably deserved to lose that match and if they keep performing at that level, they will struggle heavily in the last group match vs Iran. Still, it was a good day for Portugal, as they end the day on top of the group heading into the last matchday. 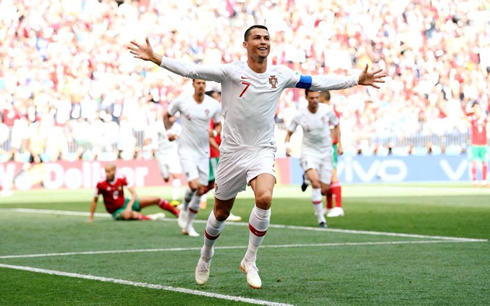 It was a historic day for Cristiano Ronaldo as well, his goal in the 4th minute was not only the match winner, but it also placed him ahead of Hungarian legend Fenric Puskas for the title of the highest goal scoring European ever. In fact, Ronaldo now sits just 25 goals short of Ali Daei's all-time international record and with the form he's been on in the past couple of years, who knows how long he'll play. But records aside, Portugal needed him badly in this game and he delivered as he always does. His diving header in the box would be the difference between the two sides. 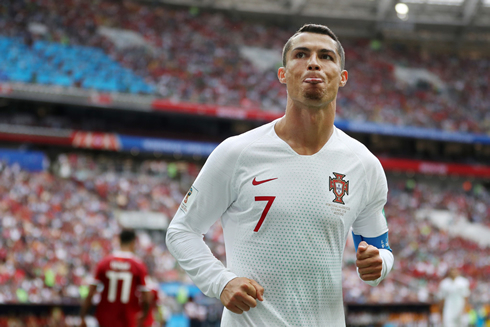 Ronaldo is having an absolutely fantastic tournament so far, he's scored every goal for Portugal and he seems focused on putting forward his best performance in what could be his last World Cup. The rest of Portugal however, left a lot to be desired. Raphael Guerreiro, in particular, was dreadful. Nordin Amrabat ran him rugged during the game and it looked certain he or one of his teammates would get a goal. 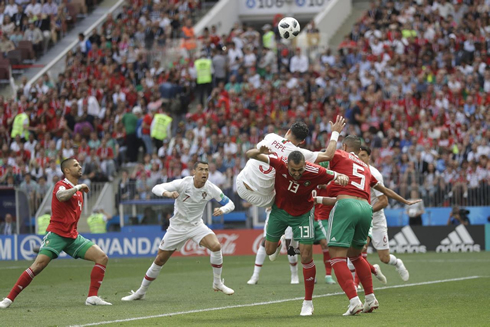 But despite their best efforts (and Portugal's worsts), they could not find the back of the net and Morocco crashed out of the World Cup after two games. 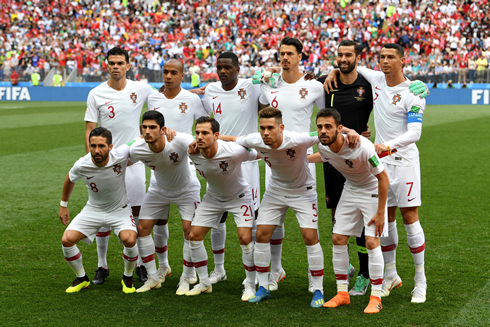 That said, Portugal should not feel good about this match, for large portions of the encounter they were overrun by their North African rivals. They looked off the pace and could hardly string a couple of passes together. The second half was truly embarrassing as they looked nothing like a team ranked #4 in the world. João Mário was non-existent in his starting role and the less said about Guedes the better, the youngster had a brilliant season in La Liga, but he is having a rough go at it on the biggest stage. Ronaldo's clever pass to him in the first half should have ended in a goal, but his shot ricocheted off the keeper's arm. Attackers: Cristiano Ronaldo, Gonçalo Guedes. Cristiano Ronaldo next game for Portugal is on June 25 of 2018 against Iran. You can watch Juventus live stream, Iran vs Portugal, Brazil vs Costa Rica, France vs Peru, Argentina vs Croatia, and Denmark vs Australia, all matches provided from our soccer and football game pages.